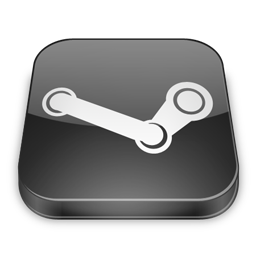 Discussion on Steam's Early Access within the Gaming News - EN forum part of the Gaming News category. It has been announced by Valve that, in order to thank their valuable customers, they are launching a new feature over Steam, which is called "Steam Early Access". With this feature, it is now possible for Steam users to play games that are under development (by purchasing them, obviously) and help developers during these early stages of their games. "Steam Early Access titles allow the community to get involved early and play select titles during their development. The goal of Early Access is to provide gamers with the chance to "go behind the scenes" and experience the development cycle firsthand and, more importantly, have a chance to interact with the developers by providing them feedback while the title is still being created. "A lot of games are already operating as ongoing services that grow and evolve with the involvement of customers and the community; Greenlight helped us raise awareness for Kinetic Void, and now Steam Early Access will let us continue the development of our game while gathering crucial feedback, input and support from the steam Community." What do you think about this new feature? What do you think could be improved on it? Another proof for Steam being much more better than Origin !! the real question is : will this last ? Nice article, too bad I wouldn't purchase a game to test it before. I can see how this is a great system for developers in the way they are actually paid for live testers. But on the other hand as a developer I would be very skeptical about handing over alpha/beta versions of games as these are usually the ones with less security built in and more likely to be pirated more easily. Also with these less secure versions they can give hints on how to break the security in the final version. good was too earn faster money.